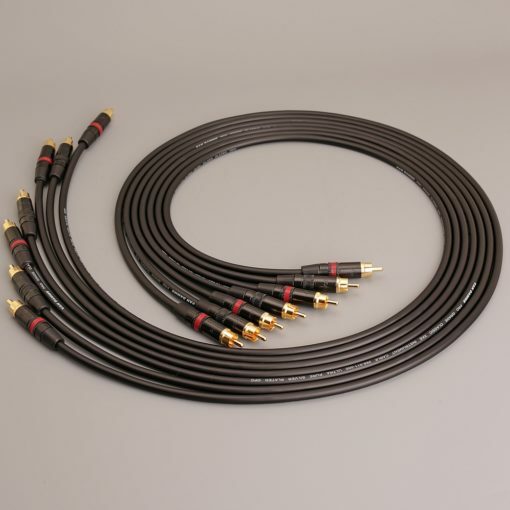 Van Damme 2.5mm Hi-Fi Speaker Cable – Per Metre. 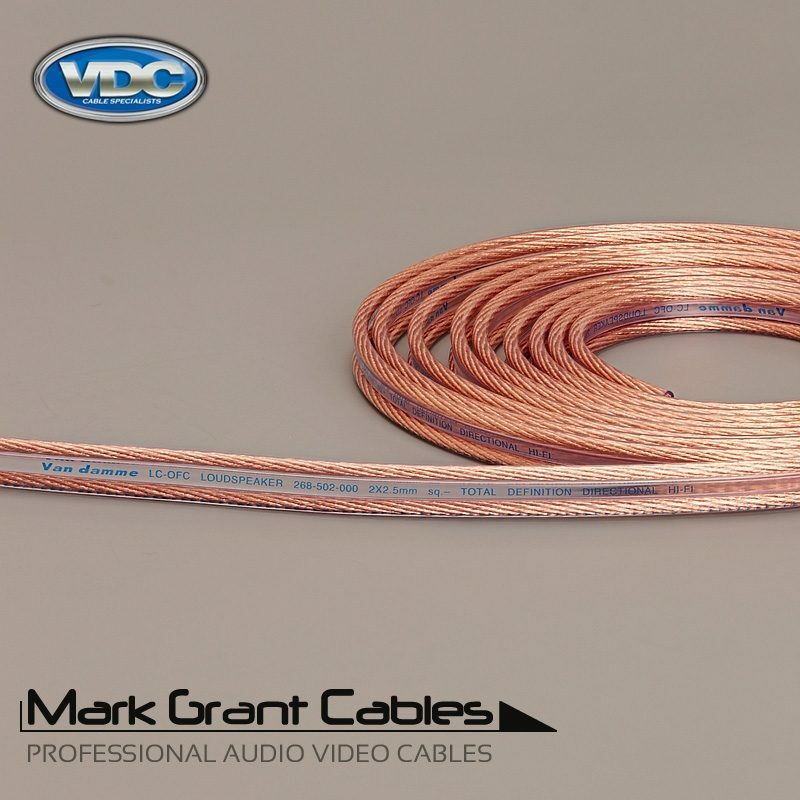 This is off the cable cable with no terminations priced per metre. 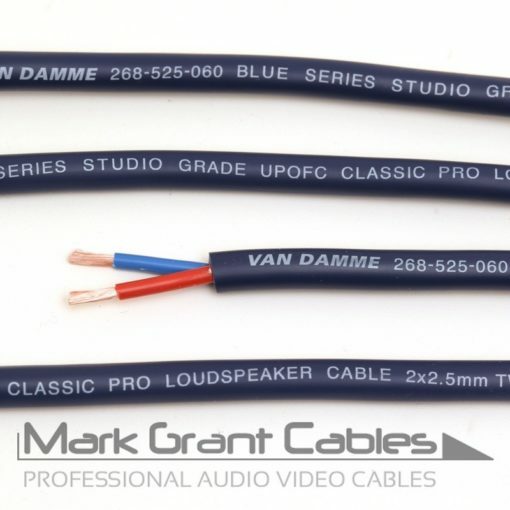 Van Damme Product Code: VDC 268-502-000. 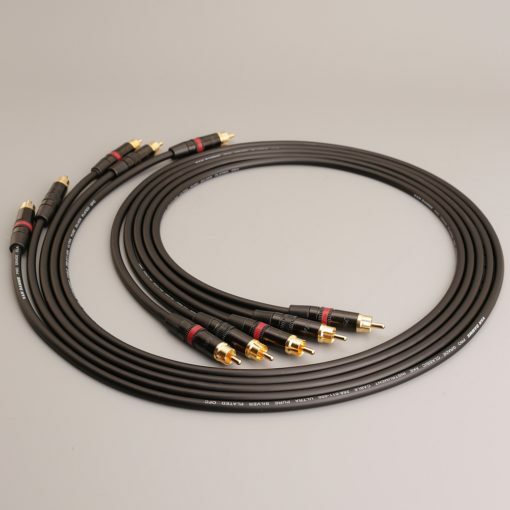 High end domestic hi-fi cables. Professional studio near field monitoring. Shotgun construction for easy conductor separation and identification. 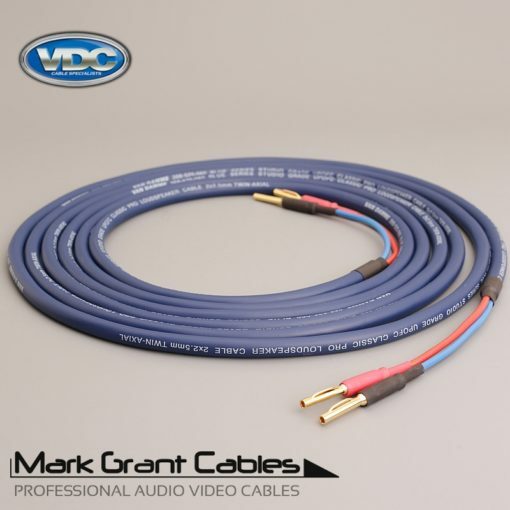 Speaker cables have ultra fine 0.10mm conductors with 7 way plait construction to minimise the skin effect. Overall diameter – 12.00 x 4.00mm. Conductor stranding – 7 x (46 x 0.10mm). Conductor resistance Ohm/Km – 7.40. 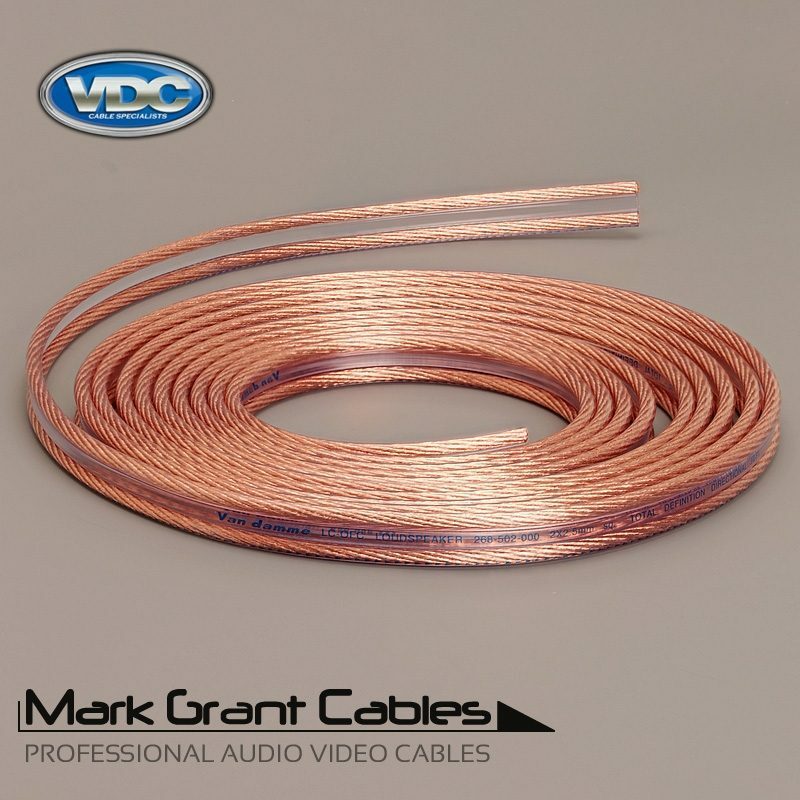 The cable weighs 90 grams per metre.